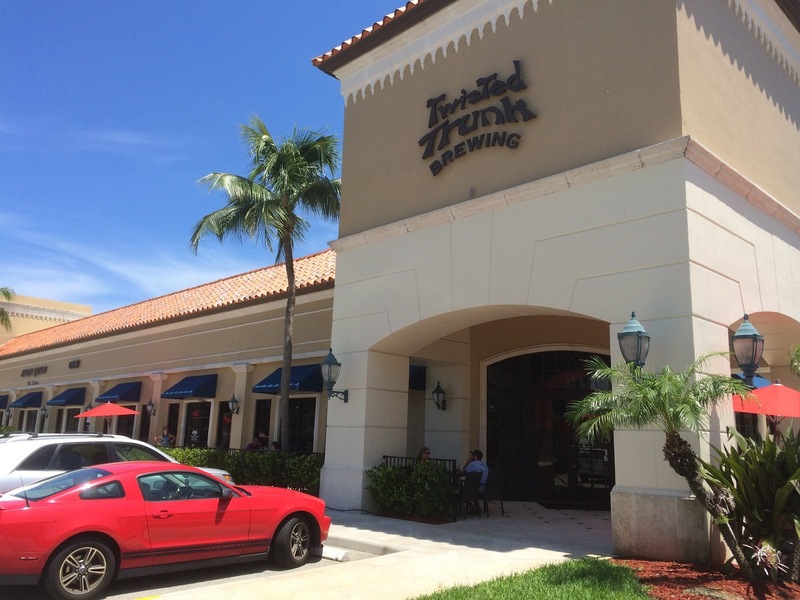 After leaving Sailfish Brewing, #EpicBreweryWeekend continued south toward Palm Beach Gardens and Twisted Trunk Brewing. Around this same time last year, Owner Matt Webster told us during a similar visit to his Tequesta Brewing that he and his business partner Fran Andrewlevich would be opening this second much bigger brewery in 2015. So of course my wife and I were eager to check it out! By this time in the afternoon, the brewery had a decent-sized crowd. Very spacious! We took a look around at the decorations and peeked into the actual brewing area to get a look. 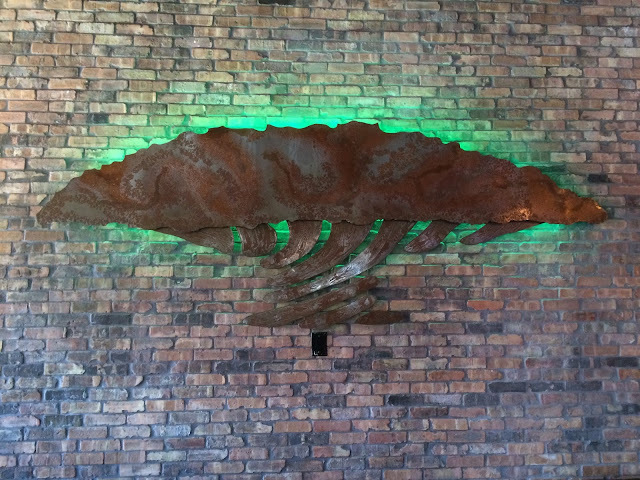 One wall had a tree with a twisted trunk illuminated with green lights. 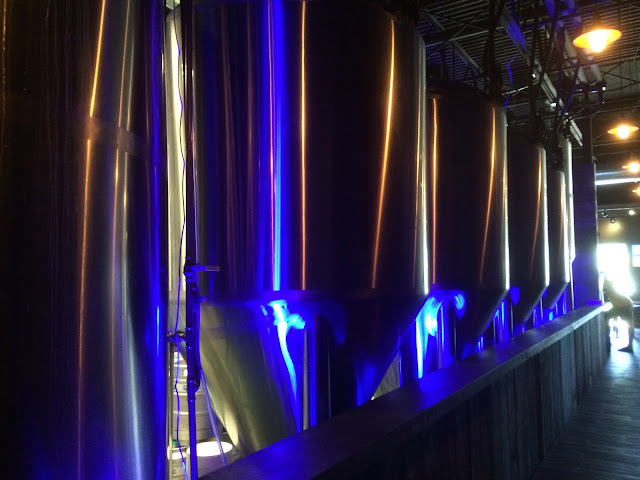 The brewing tanks had a blue glow around them, similar to how their Tequesta Brewing is set up. 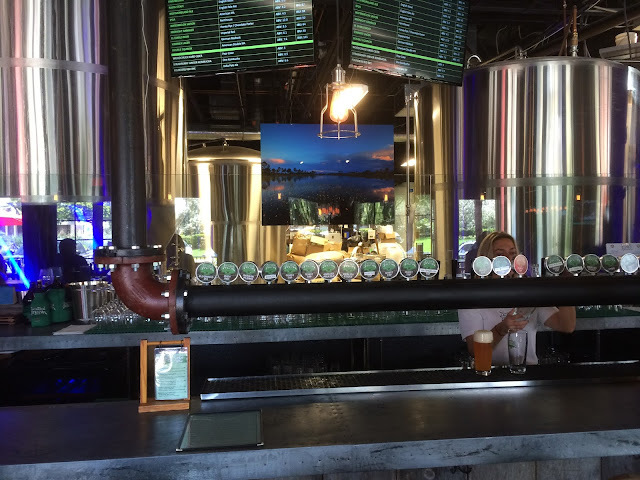 The wooden bar was really nice but the only seats open were directly in front of the taps. There were comfy couches and lounge areas too, but we opted for a high top table in the middle of the space. Our server (I think she said her name was Jessie) was very nice, explained what the beers were and set our expectations. She even organized our flights in a sensible way that didn't put the boldest beer first (even though that's probably how I ordered it). Flight One: Lucky Langer Lager, crisp refreshing pilsner, nice bitterness; Watermelon Saison, melon, orange, crisp and zesty, flavorful; IPGA American IPA, beautiful orange and tropical sweetness with an excellent bitter balance; Double Equinox DIPA, definitely bitter but has delicious citrus and sweet malty backbone. Flight Two: Sommer Lager (German Maibock), simple, grainy, flavorful; El Diablo Rojo Imperial Red Ale, malty, spicy, hoppy; Rasta Stout (English Stout), coffee, sweet and creamy, pronounced licorice at finish; Midnight Rambler Porter, nice honey sweetness, light nuttiness, chocolate, completely hidden 12% alcohol! 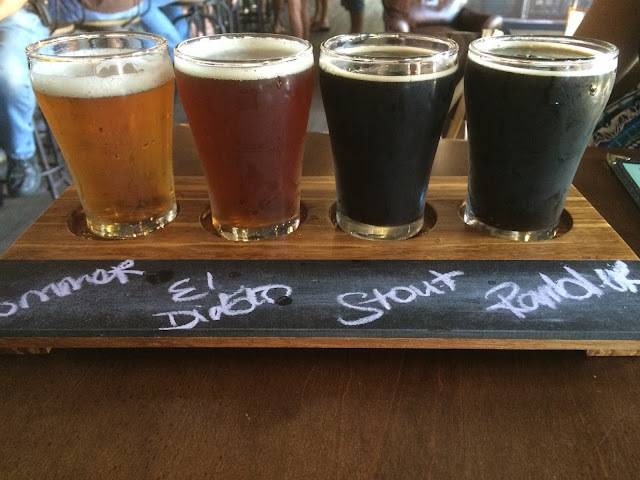 While we were tasting our beers, we struck up a conversation with the people next to us. They were involved with insurance focused on breweries so they were very knowledgeable about both the local scene as well as that around Asheville, NC where they spent a few years. Was a nice conversation. They suggested we take a shuttle plane to Asheville for a long weekend - I guess there are $100 flights that make that happen more easily! 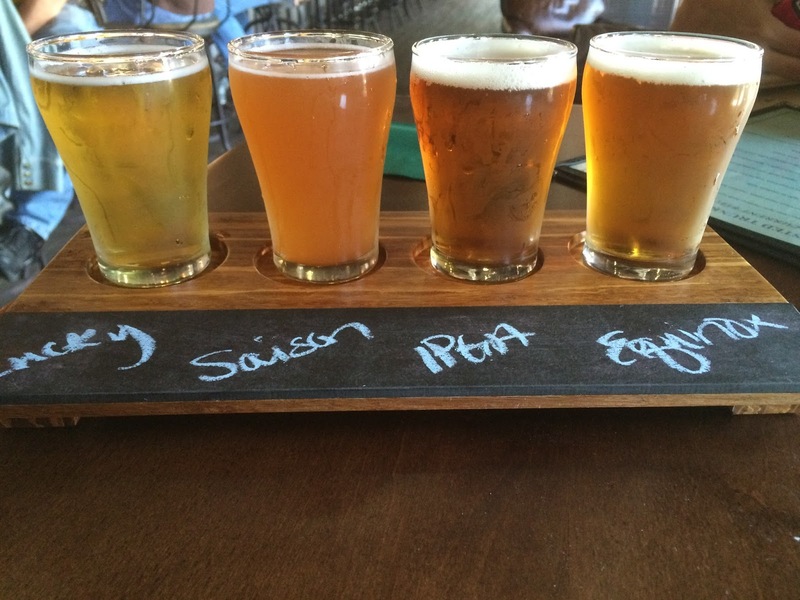 They also suggested visiting Copperpoint Brewing which was pretty funny because it's exactly where we were headed! Almost forgot... 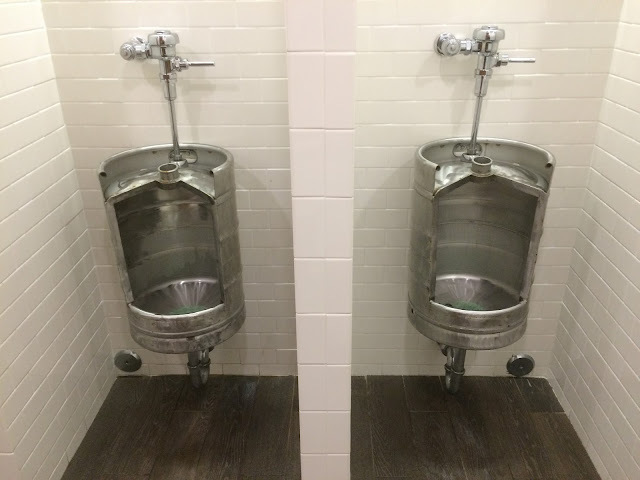 The urinals made from repurposed kegs were super cool. I had seen it the day before at another brewery but still fun nonetheless. And they also had similar industrial style sinks and faucets and handles in the bathroom. Twisted Trunk is a great place! 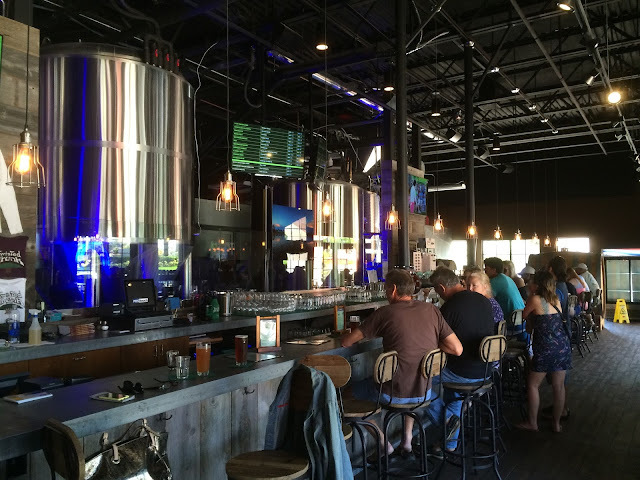 Atmosphere, comfort, great service and excellent beer. The terrific front end made me want to be able to see behind the bar and get a look at the actual operation and hear the story about the brewery. I did ask beforehand about a tour since there was no information on the website. I didn't get a reply, though I hope the request was at least read so they know others would also be interested. Thanks for a tasty visit! Next Stop... Copperpoint Brewing in Boynton Beach.